Book Birthday! Bone Flower Goddess Out Today! The wait is finally over! 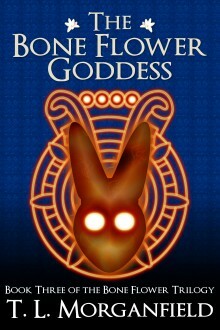 The Bone Flower Goddess, the final book in the Bone Flower Trilogy, is out today. 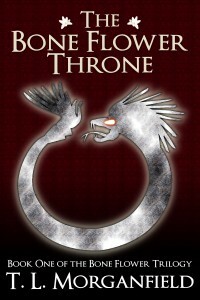 But with Tollan’s throne and the future of the Tolteca empire at stake, is the price one that humanity can afford to pay? Visit the book page for links to buy from your favorite vendor! And, with the trilogy now complete, an omnibus edition is also available, at a discount to buying all three books separately. In Mesoamerican lore, she is mentioned only as the woman the gods used to bring down the legendary priest-king Topiltzin-Quetzalcoatl—Mexico’s King Arthur. But now her story is told at last. Born the only legitimate daughter of the king of Culhuacan in the Valley of Mexico, Quetzalpetlatl was destined to be the obedient wife of the future king. But when her mother becomes pregnant with the god Quetzalcoatl’s son, Topiltzin, she’s thrust into the middle of a war among the gods, played out on earth through the humans who worship them. 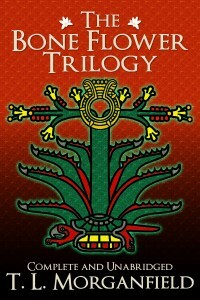 Faith leads her to become the High Priestess of Quetzalcoatl, but ambition wins back her stolen throne, and, together with Topiltzin, she founds the legendary city of Tollan and ends human sacrifice. But that is only the beginning of her journey—one that started eons ago in a walled garden guarded by dark magic, and was set in motion by the mysterious beckoning whisper of a stranger from beyond the stone walls…. Visit the book page for links to your favorite vendors! And, as if that wasn’t enough, The Bone Flower Throne is now free, free, free! I finally put the wraps on the first draft of The Bone Flower Goddess, the final book in The Bone Flower Trilogy, and to celebrate, I’ve posted an excerpt for fans. 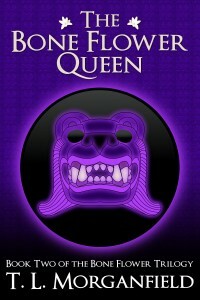 Beware: if you haven’t read Bone Flower Queen yet, I don’t recommend reading the excerpt, for it’s spoilerish for that book. I don’t have a concrete release date yet, but I’m aiming for early 2016. It still needs to go through my beta readers and a rewrite before heading to my editor, but it’s a big step to finally finish that first draft. I’m aiming to make this book as good as the others and a satisfying wrap-up to the trilogy, so I’m grateful for your patience while I work to make it the best book I can. In the meantime, readers can look forward to a new installment in my Aztec West series before the end of the year. 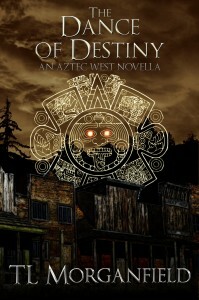 It’s another novella, this one a direct prequel to “The Hearts of Men”, and it’s called The Dance of Destiny. It also has a preliminary cover (which is still in need of some work on the light and dark contrast)! Stayed tuned for more information. I’ve finally finished the revamp of the cover for The Bone Flower Queen, and I’m also almost done with the cover for The Bone Flower Goddess, but will hold off on revealing that one until it’s closer to release date. Right now the new covers are only on the ebook versions, but I’m getting ready to update the paperback covers on both books, so if you’re wanting to snag up copies with the old covers, now’s the time to do it. It took me a really long time to come to the final concept for this particular book. It went through numerous iterations, and one of my early attempts will actually be the cover for The Bone Flower Goddess. I originally had an idea to do masks on the cover–seemingly easy to do and thematically relevant–but only one of the masks actually turned out looking good. Eventually I abandoned that concept and went back to the drawing board. I also messed around repeatedly with the cover for The Bone Flower Throne, until I had an overall look I really liked (I ended up really not liking the one I posted in the earlier blog post and decided to go even simpler.). I still wasn’t sure about what my central object would be, but after several hours of false starts, I finally came up with the idea of the obsidian mirror. I was still wrangling with the jaguar issue though; everything I’d done so far looked a little too realistic and not necessarily “Aztec” or “Toltec”. Eventually I did a line drawing of an actual Aztec jaguar statue, and am pretty pleased with how it turned out. Aside from the smoke, all of the art on the cover is original, drawn in Gimp. I like getting to stretch my creative muscles like this. Self publishing has been very good for my internal artist, which I’d put away for so long…. I’d hoped to revamp the paperback’s sizing, convert it down to 5.25X8, but having discovered that it would require an entirely new ISBN for both books, I’ve decided I’m going to stick with the 6X9 format and just update the covers. I also have plans for a paperback omnibus edition that I’ll sell only at conventions, but CreateSpace’s page limits might make that impractical. We’ll see. At the very least, there will be an omnibus ebook version, which means a fourth cover (Yay! ).